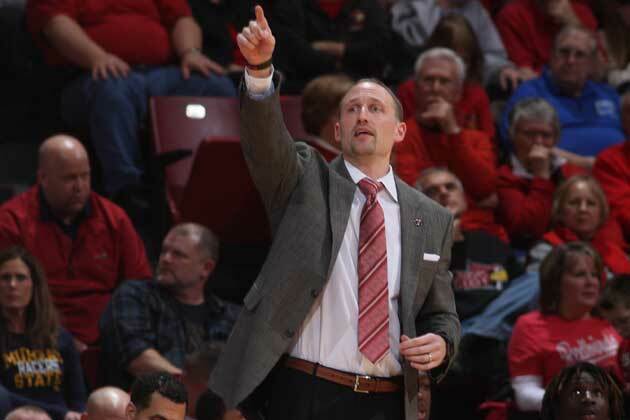 NORMAL – Illinois State men’s basketball didn’t play its best game according to the coach, but it was good enough. The Redbirds opened the season with a 74-66 win over Florida Gulf Coast on Tuesday night on Doug Collins Court at Redbird Arena. FGCU jumped out to a six-point lead in the first 90 seconds, but ISU led 37-28 at halftime and by as much as 14 points in the first minute of the second half. Illinois State coach Dan Muller graded the opening game performance as a C-. Phil Fayne, Josh Jefferson and Milik Yarbrough led the Redbirds with 17 points each. Fayne pulled down 11 rebounds. Schadrac Casimir led FGCU with 18 points. Dinero Mercurius contributed 11 points and Haanif Cheatham added 10. Illinois State travels to Nashville to face Belmont on Saturday at 7 p.m. Pregame on WJBC-AM 1230, 93.7 Nash Icon and WJBC.com begins at 6 p.m. from Curb Event Center.